The Greenspeed folding recumbent tricycle, is designed as an easily transportable trike that you can fold up to fit in your car and take up less space in your shed or garage. Greenspeed has been making and improving trikes longer than anybody in the trike industry.The quality, ride, and handling are head and shoulders above most recumbents on the market. 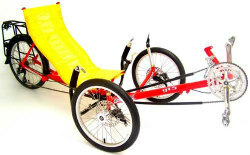 This folding recumbent tricycle rides like a dream. It is extremely comfortable with finely tuned steering that keeps you in control and seats that were designed by chiropractors for optimum support. There is even an optional headrest that is fully adjustable. They even use a Delrin toothed chain guide pulley that makes your ride much quieter. 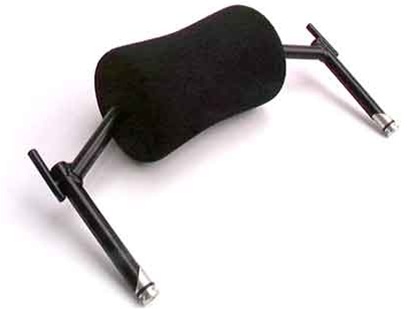 Other options are fenders with a mirror mount, rear rack, mirror post and mirror, computer mount, and a light mount. Maximum rider weight is 265 lbs.